Flutist Linda Mintener, through her church, organizes an annual flute concert to raise funds for more than 85 Chinese orphan children to go to school. The concerts are free with a free-will offering taken, all of which goes to support the orphans. The 9th annual Chinese Orphan Benefit Concert will be on Sunday, March 22, 2015 at 2:30 at First Baptist Church in Madison, Wisconsin. All are invited to attend. 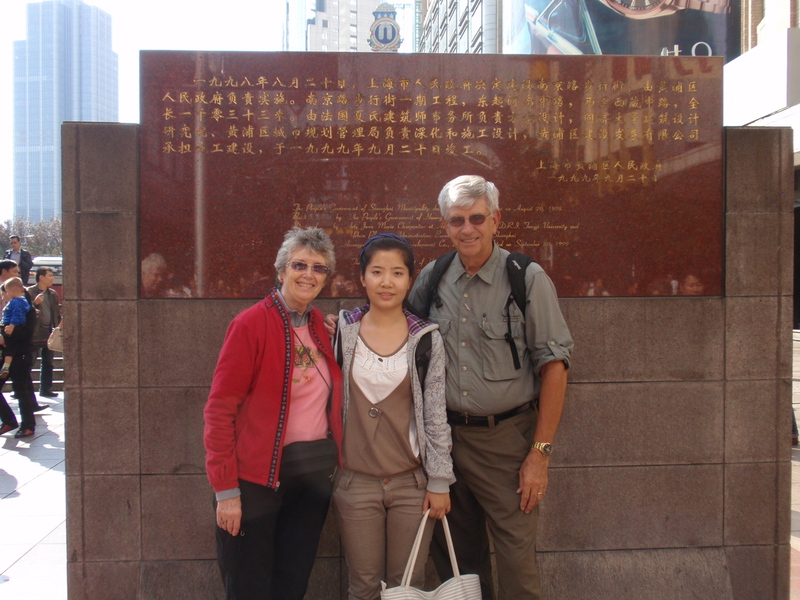 Linda began the concerts when she became aware of the catastrophic situation that occurred in China’s rural Henan Province from her friend who has been a missionary in China for over 20 years. The tragedy occurred in the 1990s when blood collectors came into small village farming areas and recruited poor subsistence farmers to give blood in return for a small fee to augment the families’ meager incomes. Unfortunately, unsterile blood collection procedures spread the HIV virus to those who participated. The result was the death of more than 10,000 adults from HIV/AIDS, leaving behind more than 2,000 orphaned children. Most of the children now live with elderly grandparents who are left without the support from their now deceased children that they had relied on in their old age. The grandparents are aged beyond their years, having lived through the Cultural Revolution and the Great Leap Forward and having endured periods of near starvation. In some families, it was the father who participated in the blood collection and subsequently died of AIDS, leaving a young widow unable to provide for herself and her children. In such a situation, the widow, in order to survive, sometimes remarried and moved to another area, abandoning her children—an additional type of loss for the children to bear. Elderly and frail grandparents—often in poor health, and without the ability to support even themselves—became the sole supporters and care takers of their orphaned grandchildren. It is the only option for the children to survive since there are few, if any orphanages or services for orphans in their area. As the AIDS orphans age out of the school system, the Chinese Orphan Project has now expanded to support orphans whose parents died from causes other than HIV/AIDS. All of the children we support live with the stigma of poverty and their status as orphans in a country where family status is so important. They are taunted and teased often unbearably sometimes forcing them to drop out of school. In some villages, the villagers shun the AIDS orphans and their grandparents, with no one in the village willing to even speak to them. The children’s status in their village is often raised when they have our funds to buy new clothes to replace their rags and schoolbooks, pencils and paper. The fact that foreigners from halfway around the world support and even visit them (which always gets lots of attention in the villages) gives the children more respect. Children have told us that after receiving our support and visits, the other children will speak to them and play with them, when they would not before. After the children receive our funds to buy the necessities for school, their grades often shoot up, and they become some of the best students in the school. Of course, some students struggle in school, perhaps due to the terrible losses they have endured at such young ages. Two of our children, a boy in middle school and his sister in high school, live entirely on their own supported by our funds. Both parents died of AIDS, and their grandmother is now too ill to care for them. They live in their deceased parents’ home during school vacations and board at school during the school year. There are no other relatives to care for them and no other place for them to go. They had to sell their inherited rights to farm their parents’ land to pay for the medical expenses of the brother’s neurological disease. They grow squash in their front yard, and survive on that when they are at home. Both are excellent students. One cannot even imagine what would have happened to them without our support. The flutist community has become a great supporter of the Chinese Orphan Project. Many well-known and excellent flutists have come at their own expense to perform in our annual Chinese Orphan Benefit Concerts, including Alexa Still (who has come twice), Jonathan Keeble and his harpist partner Ann Yeung, James Pellerite (on Native American flute), Patricia George (editor of Flute Talk magazine), and Roberta Brokaw (who has come the last 8 years!). The Madison Flute Choir and its elite Chamber Group perform, as well as other Madison flutists. Several additional flutists have offered to perform for our future concerts. All performers volunteer their time and talents to come to Madison and to perform. The concerts include all sorts of classical music – solos, duets, and types of ensembles by Mozart, Bach, Doppler, Delibes, Debussy, etc., – as well as some Chinese melodies including Medley of Old Chinese Folk Songs arranged especially for us by Matt Johnston of Alry Publications. Linda started the concerts in 2007 with the goal to support just two of the AIDS orphans. Amazingly and unexpectedly, the Project is now supporting 85 orphans in Henan Province, providing them with money to allow them to stay in a home with a relative and to pay fees for such things as school, boarding, books, transportation, and exams and to buy school supplies, adequate clothing for hot summers and cold snowy winters, and a proper diet. The children would not otherwise have these things–often not even pencils, paper or schoolbooks. Before our support, the children had little, if any, ability to get an education. The Chinese Orphan Project’s support for the children has greatly changed the children’s lives, allowing them to attend school on an equal footing with others and letting them look forward to a bright and healthy future contributing to Chinese society. The annual concerts have not only raised money collected in the concert offering, but have also raised awareness of the orphans’ plight and encouraged individuals to support an orphan child for $250/year for young children and $500/year for high school students. Our sponsors have come from 11 different states and 4 countries. In addition, the flute industry members have generously donated flutes and other items for us to sell for the benefit of the Chinese Orphan Project, and flute retailers, such as Flute Specialists, have donated money to support a child. The children the Project supports range in age from kindergarten to four who are now in college. Most of the children are HIV-negative, though we have sponsored a few who are HIV-positive or have AIDS. We are very proud of those who have passed the national college entrance exam — quite a feat for children who come from rural schools that are much inferior to those in large urban areas. Two of our college students will graduate this spring; another is in the 2nd year of a 4-year nursing program; and one is in his 1st year of a 3-year technical college program. Last year, our oldest student, whom we had supported for several years, graduated from college. She had lived in a one-room dirt-floor home with her widowed and disabled grandmother and younger brother who had dropped out of grade school. Now, she has a good job that supports herself and her grandmother. Linda and her husband have been to China’s Henan Province four times to visit each of the children and their guardians in their humble rural homes, bringing home photos and stories of each child. On those trips, Linda and her husband have been greeted with hugs, bright smiles and tears of gratefulness. Each child has a poignant story of loss, grief, adversity, and survival. A huge thank you to the flute community which has contributed so much to change the lives of these children who are at the bottom of Chinese society. If you are interested in contributing to the Chinese Orphan Project or in sponsoring a child, you can do so through First Baptist Church-Madison, Wisconsin. A contribution of any amount is appreciated and will go into our general funds to support the children. One hundred percent of the donations is sent to the Chinese charity that works with us, which takes 10% for their administrative costs. The remaining 90% goes directly to the orphans twice a year after the school records show the child has finished the school semester. Checks may be made out to First Baptist Church and sent to Linda Mintener, 3976 Plymouth Circle, Madison, WI 53705. It’s tax deductible as allowed under the federal and/or state law requirements. You may contact Linda Mintener at LMintener@AOL.com or (608)231-1680 for further information. On March 22, 2015, at 2:30, First Baptist Church of Madison, Wisconsin will present a flute concert to raise money for the church’s mission to provide an education for orphan children in China’s rural Henan Province. This year’s concert will feature three prominent out-of-town flutists who have generously volunteered their time and talents for this fundraising event. James Pellerite is an acclaimed performer on the Native American flute. A former flute professor at Indiana University and principle flutist for the Philadelphia Symphony Orchestra, he took up the Native American flute upon his retirement, and has become instrumental in promoting this unique instrument. He will perform several pieces that he has commissioned—solos, as well as duets and trios with the modern flute, viola and cello. A main feature will be his World Premier performance of John Heins’ new composition Nature Story. In addition, Patricia George, editor of Flute Talk magazine, will grace us with a performance of a lovely CPE Bach sonata and will join local flutists to play Cimarosa Suite, a delightful trio composed by her husband Thom Ritter George. Paired with that will be Concerto in G Major by Domenico Cimarosa, a lively and flashy duet with flute choir accompaniment performed by Linda Mintener and Roberta Brokaw (Linda’s Indiana University music school colleague who joins us for the 8th year). Elizabeth Marshall—of the Madison Symphony and Wisconsin Chamber Orchestra—will then join Roberta (her former flute professor) to play a duet of lovely Chinese tunes. Another special treat will be the Madison Flute Choir performing Andante and Allegro by Telemann recently arranged for flute ensemble by Carol Gilkey, Roberta’s former student. And, there’s more!! Come join us! Admission is free with a free-will offering taken for the Chinese Orphans Project. The past concerts, as well as other donations and individual sponsorships, have raised money to provide the opportunity for an education to 85 orphans ranging from kindergarten to college students. Many of the children were orphaned when their parents died of HIV/AIDS contracted from donating blood in exchange for small amounts of much-needed cash. Most of the children live with elderly and infirm grandparents who have little or no cash income and struggle to care and provide for themselves, let alone their young grandchildren. The grandparents were farmers, but now most are disabled and unable to do farm work or other physical labor. That means they cannot provide the money for their grandchildren to go to school since they cannot pay for the school fees and basic educational necessities, such as schoolbooks (which the government does not provide), pencils, notebooks, transportation costs, and exam fees. Our support helps provide the children with those things, as well as adequate clothing (for hot summers and cold, snowy winters) and a healthy diet. With our support, many of the children who did not do well academically or who were not in school have jumped to the top of their class. We are very proud of our four children who are now in college and one who has graduated and has a job. Of course, some of the children struggle in school, perhaps because of the difficulties, grief, and poverty they have lived through. Flutist and concert organizer, Linda Mintener, has visited the children in their rural homes on four separate occasions. She has experienced and seen first-hand the smiles, hugs and tears of gratefulness from the children and their grandparents. Come to the concert, enjoy an afternoon of lovely music and donate to this great cause. If you cannot make it to the concert, you can still sponsor an individual child ($240/year) or donate in any amount by sending a check made out to First Baptist Church to Linda Mintener, the Project Coordinator, 3976 Plymouth Circle, Madison, WI 53705.